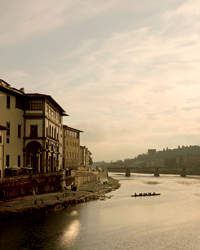 Silvio Ursini’s black book on the best hotels and restaurants in Florence. A favorite of Ursini’s father’s for Tuscan classics like ribollita and bistecca alla fiorentina. 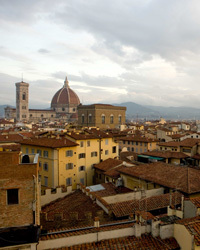 Ursini’s new restaurant in Florence’s Palazzo Tornabuoni focuses on Tuscany, from the meats and cheeses to the wines. “This restaurant and wine bar just opened, so I have only been there a few times, but I loved the Lasagnette Croccante al Rosmarino (crispy rosemary lasagna),” Ursini says. A former private residence, now a 20-room hotel. Ursini likes the cozy atmosphere. Down the street from the Uffizi Gallery with views of the Ponte Vecchio. Ursini sometimes uses the spacious suites as an office and cooks in the small kitchens. Just outside the city center. Ursini likes the suites with private gardens.